I was at H&P just after you, and those fabrics you bought are beautiful. Enjoy the park....it's a beautiful day for it. Hope lots of energy was burned off and lots of stitches made! 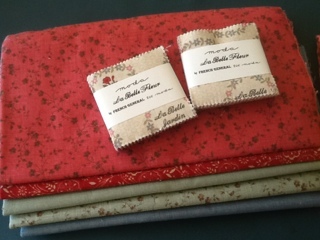 love the french general fabric!! I'm so jealous you live close to the Home Patch. Nice fabrics. What are you going to do with the little charm packs? Have fun at the park. Now Deb, the 'to do' list will never shrink, nor the UFO pile, if you keep buying more fabrics! They do look good, I must say, even though I am not much a fan of FG... what do you have in mind for them when the time comes? 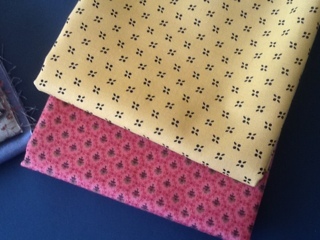 Lovely fabric, hope you all have fun today. Perfect day, lovely choice of fabrics. Inspiration - that is what keeps us going. Good luck with your next project. ps how is "Tillie's" Lane coming along? ?